Jazz drummer, Terri Carrington received her first set of drums at seven years old. A short four years later, at the tender age of 11 years old, she received a full scholarship to the Berklee College of Music in Boston, Massachusetts. Throughout her career, Carrington has written and produced for talents such as: Carlos Santana, Chuck Loeb, Jimmy Haslip, and George Duke - just to name a few, and also served as the house drummer for the Arsenio Hall show in the late 1980's. She is a three time Grammy award winner, and is the first woman to win a Grammy for the Best Jazz Instrumental Album category. Born Lovella May Borg in Oakland, California, 1936 - Carla Bley was encouraged early on by her father to learn to sing and play the piano. At 17 years old she moved to New York where she began touring with Jazz pianist Paul Bley. Under his tutelage Bley began composing music, and would later collaborate with artists such as: Pink Floyd drummer Nick Mason, George Russell and Robert Wyatt. 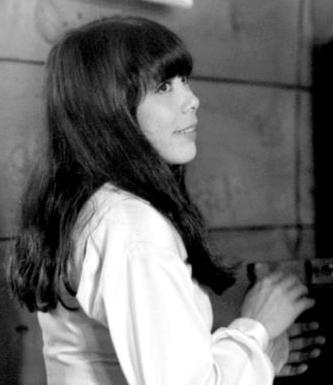 In 1965, she helped organize the Jazz Composers Orchestra which released 8 albums between 1965 and 1975. At 80 years old, Bley still performs with her band and recently made an appearance at the Big Ears Festival in Knoxville, Tennessee. Toshiko Akiyoshi fell in love with Jazz music after a local record collector played her a recording of "Sweet Lorraine", by Teddy Wilson. She recorded her first album in 1953 after being discovered in a club in Japan. Soon after, she moved to Boston to study Jazz at the Berklee School of Music. Akiyoshi composed and arranged music for a number of bands, but had a particular affinity for big band orchestras. While living in New York city she assembled the Toshiko Akiyoshi Jazz Orchestra featuring Lew Tabackin with whom she performed with for 21 years. This international Jazz sensation has received 14 Grammy nominations, and was named an NEA Jazz Master by the U.S. National Endowment for the Arts. The older sister of Jazz musician, Cab Calloway - Blanche Calloway was the first woman to lead an all-male band. She was known for her provocative lyrics, which went against the ideal of being a "respectable" woman, but her flamboyant style was a big influence in her brother's career. She became popular in the Chicago Jazz scene in the late 1920's after getting her big break in the four year long, national tour of the the musical, "Plantation Days". Calloway became a radio DJ in the 1950's at WMBM in Miami Beach, where she eventually served as program director for 20 years. Known as the "Godmother of Rock and Roll", Sister Rosetta Tharpe first learned to sing and play the guitar at four years old. Along with her mother, Tharpe traveled the country performing at religious concerts and church conventions. At 23 years old she recorded her first four gospel songs backed by a Jazz orchestra and shocked her religious fan base by mixing gospel lyrics with secular instrumentals. Credited for being the influence behind mega-stars such as: Elvis Presley, Little Richard, Johnny Cash and Chuck Berry - Sister Rosetta Tharpe out played many men with her guitar skills, but those skills were often downplayed due to her gender. She was truly a woman ahead of her time.